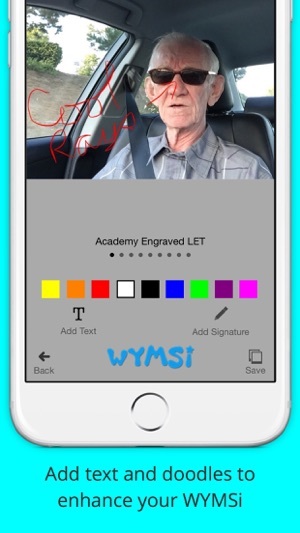 WYMSi is the first camera app that lets you add doodles or celebrity autographs to your photos. For signatures and text, you can pick colors, re-size and rotate. Multiple font choices are available for text. 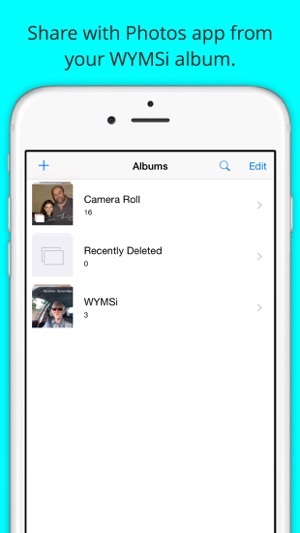 It's easy to share WYMSi'd photos through Photo app with dedicated WYMSi album. 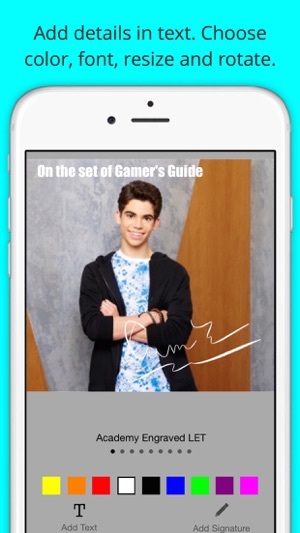 We don't include watermarks, ads or in-app purchases. A portion of the proceeds benefit the Jennifer Smart Foundation, a 501(c)3 registered charity. Use of celebrity photos does not constitute an endorsement. Updated to support iOS 11. Small corrections to font, font color changes and emoji placement. 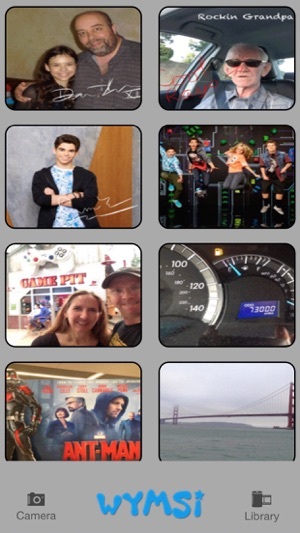 © 2015-2018 Smart Family Media, Inc.